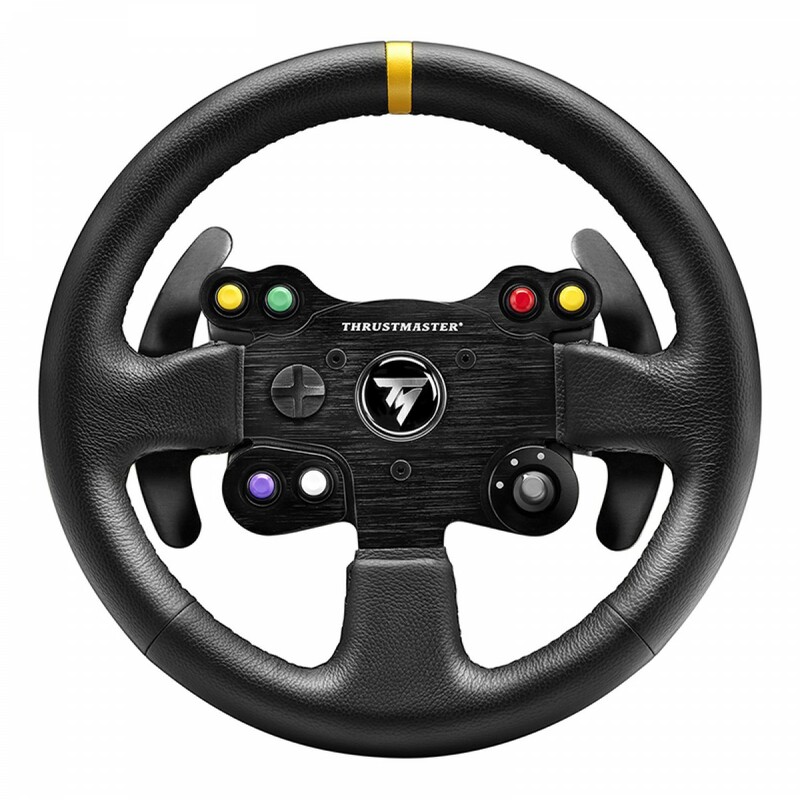 Thrustmaster is adding to its racing product ecosystem with the new TM Leather 28 GT Wheel Add-On: a detachable GT-style wheel wrapped in hand-stitched leather, compatible with all Thrustmaster T-Series racing wheels (the T300 RS, T300 Ferrari GTE, T500 RS, Ferrari F1 Wheel Integral T500 and TX Racing Wheel Ferrari 458 Italia Edition). 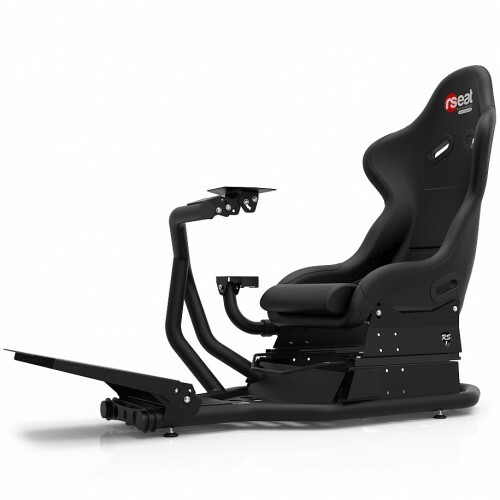 Thrustmaster has chosen to incorporate materials of particularly high quality in its TM Leather 28 GT Wheel Add-On, with leather and metal taking pride of place. 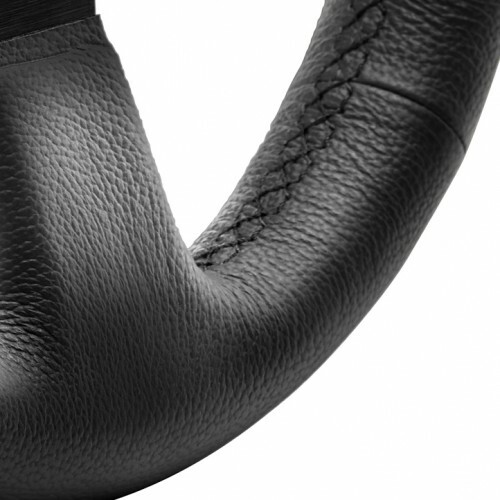 The wheel’s entire circumference – an impressive 11 inches/28 cm in diameter – is wrapped in genuine hand-stitched leather, going yet another step further in delivering truly pitch-perfect driving sensations. 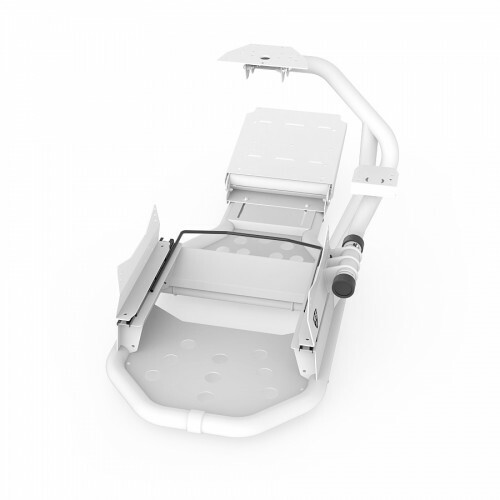 Taking the same approach as that employed by automakers for high-end models, the wheel’s leather wrapping covers a molded polyurethane ring and an internal hoop made of steel. 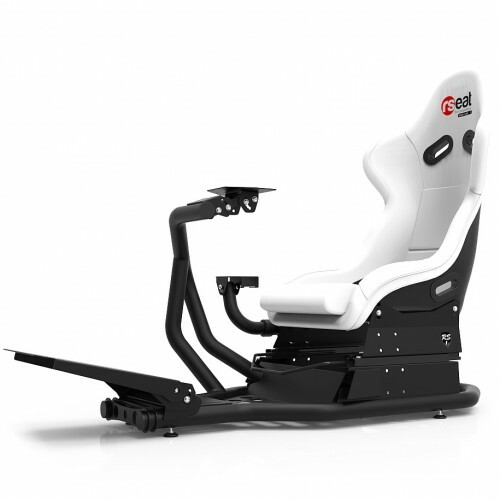 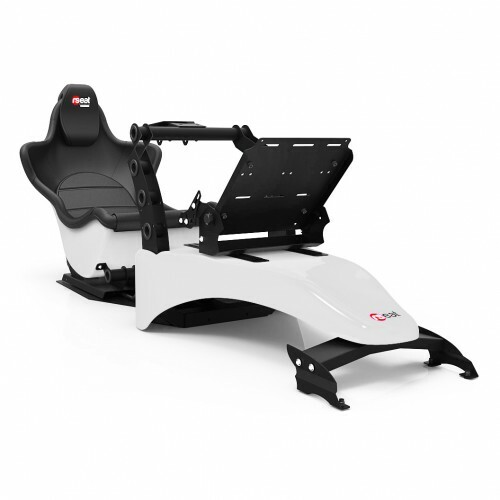 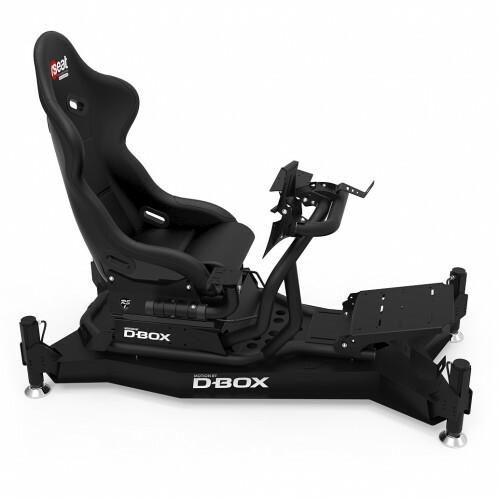 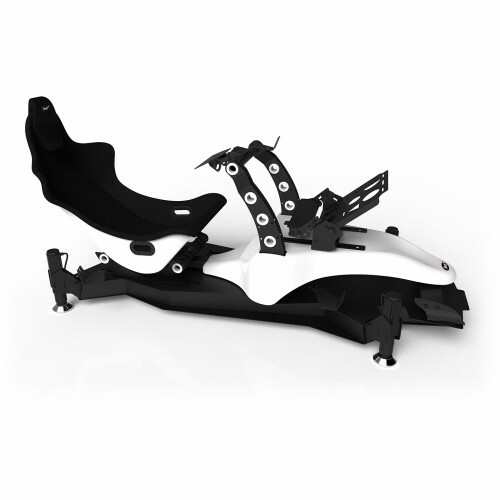 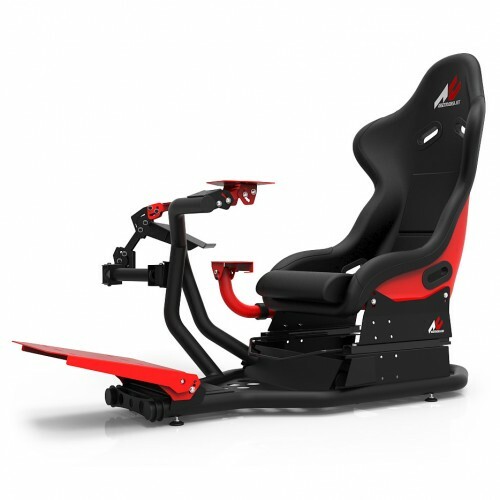 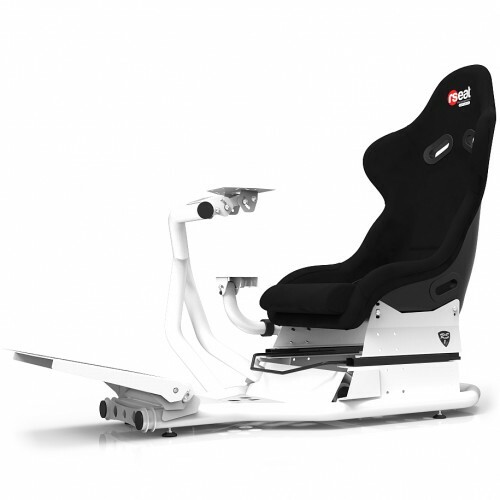 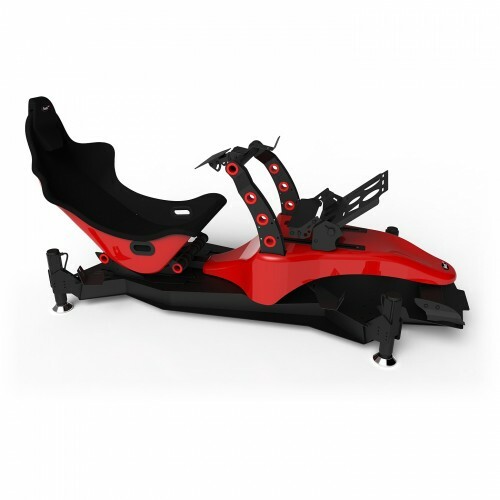 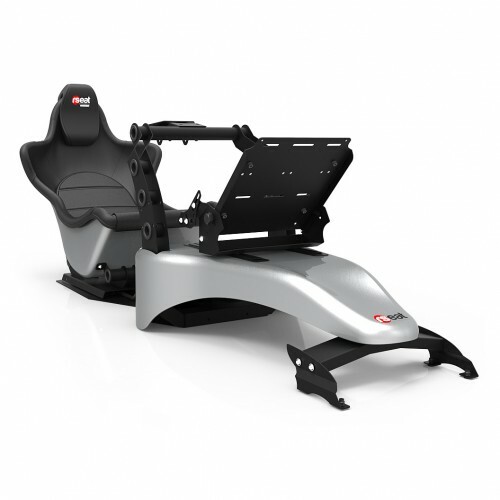 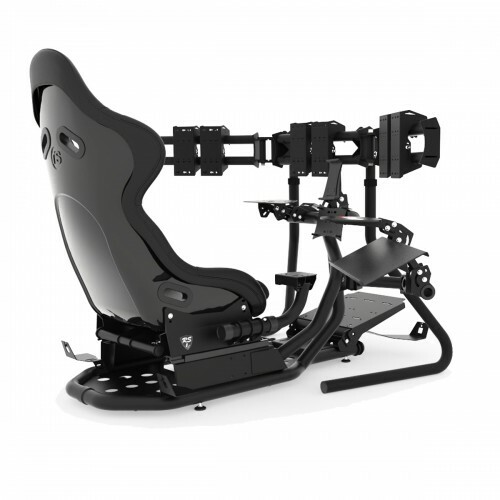 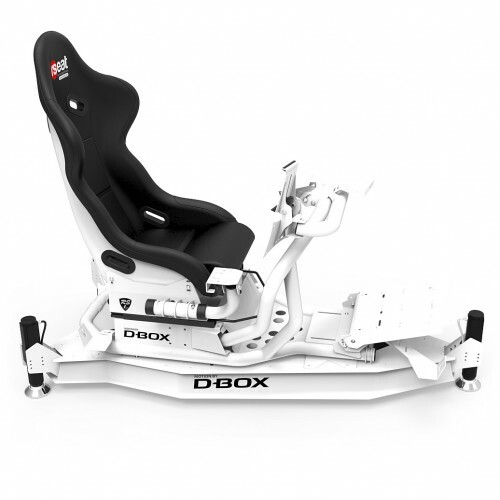 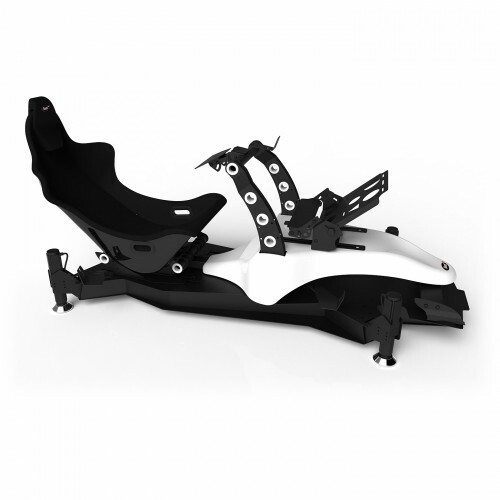 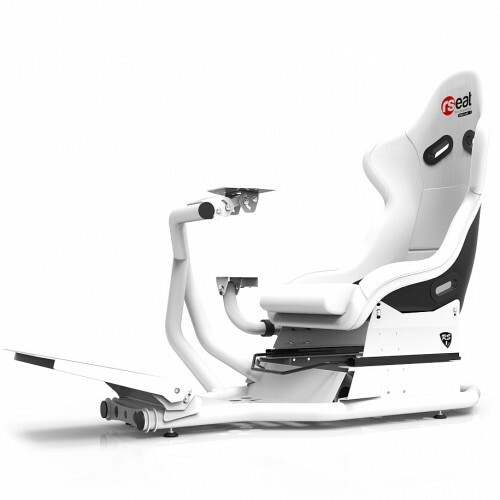 The result is a more flexible touch for enhanced comfort, along with improved transmission of driving sensations and of Force Feedback effects, in particular. Apart from leather, another prominent design feature is brushed metal (for a truly racing-inspired look and feel) – used for the wheel’s central steering plate and sequential paddle shifters. 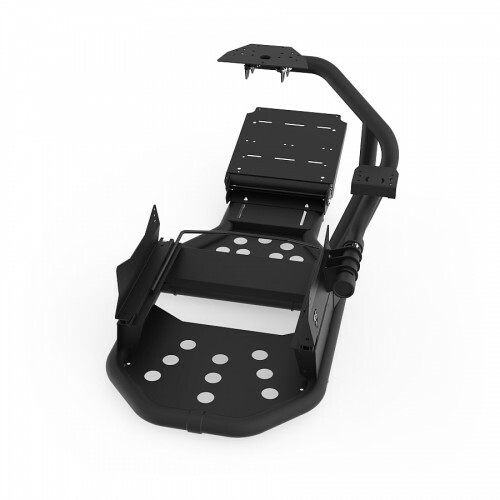 The paddle shifters are mounted to the wheel, and are a generous 5.1 inches/13 cm tall for easy access no matter where the user’s hands are positioned. 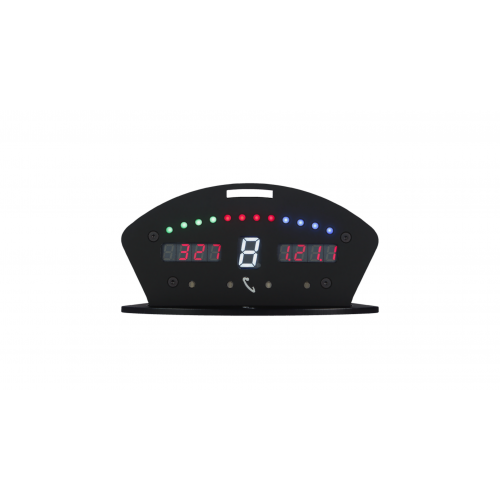 A very high-end tact switch is incorporated into each paddle shifter, for an extended life cycle of more than 10 million activations! And the icing on the cake: despite the use of these superior materials, the wheel has been designed by Thrustmaster’s RD teams to weigh just 2.2 pounds/1 kilogram, thereby optimizing inertia and ensuring even more responsive Force Feedback. 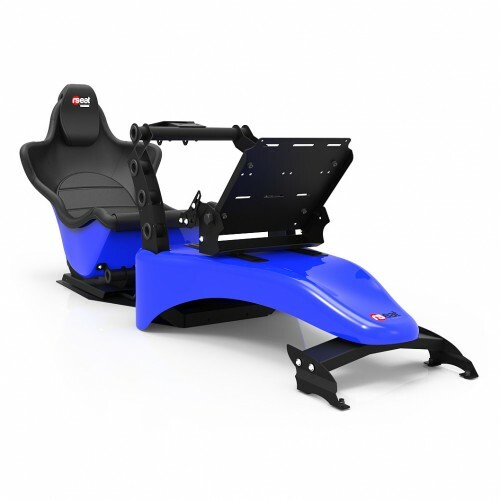 The TM Leather 28 GT Wheel Add-On is an indisputably GT-style accessory: it features an understated yet sporty design, with a clear focus on effective driving performance. 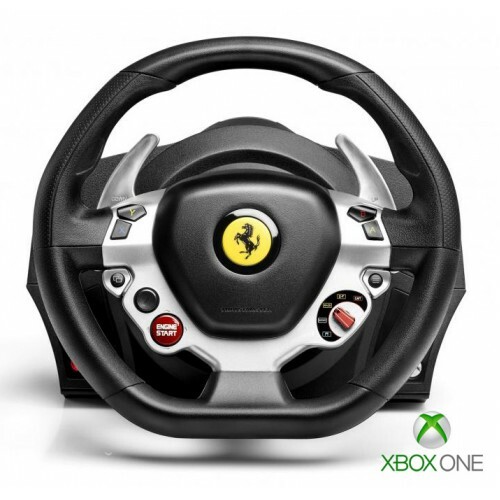 The wheel’s 2 paddle shifters are incredibly easy to access, while the shape of its brushed metal central steering plate has been optimized for its complete set of controls: 6 clearly-identified action buttons within reach of the user’s thumbs, a 3-position rotary switch with a push function in the central position, and a multidirectional D-pad. 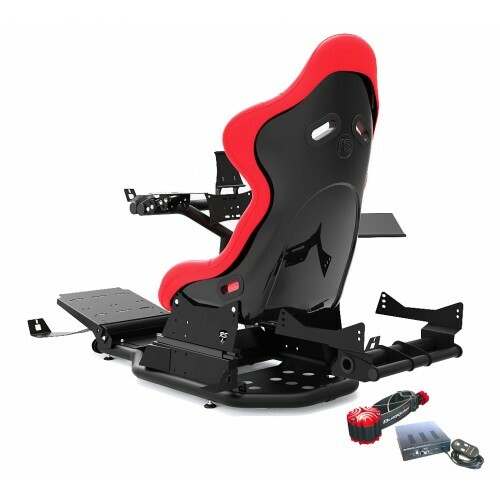 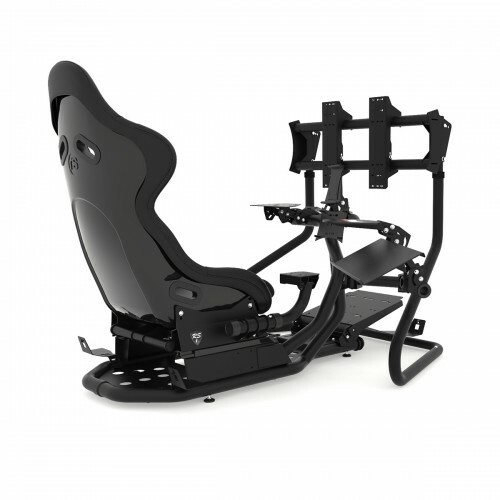 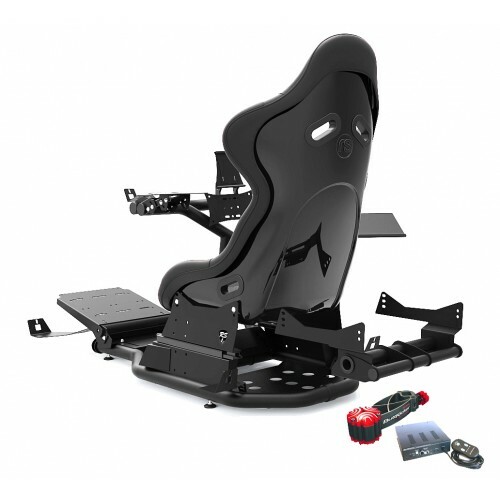 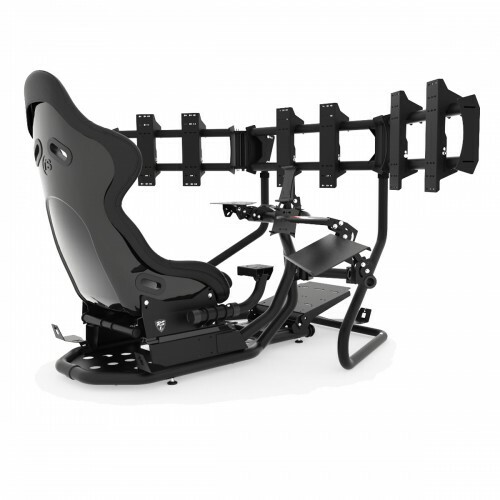 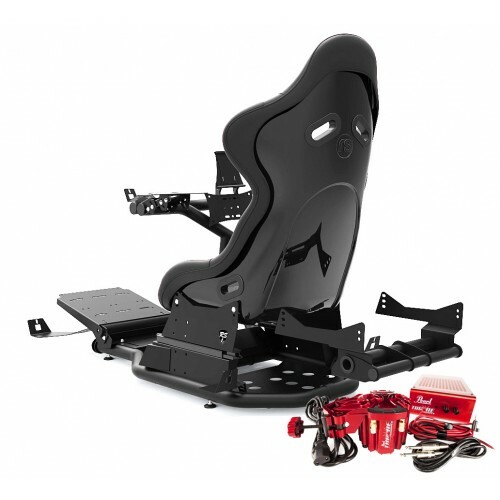 Equipped with the Thrustmaster Quick Release system, the wheel is easy to detach (allowing users to quickly switch between different wheels from the Thrustmaster product ecosystem), and is compatible with all Thrustmaster T-Series racing wheels: T300 RS*, T300 Ferrari GTE*, T500 RS*, Ferrari F1 Wheel Integral T500* and TX Racing Wheel Ferrari 458 Italia Edition*.